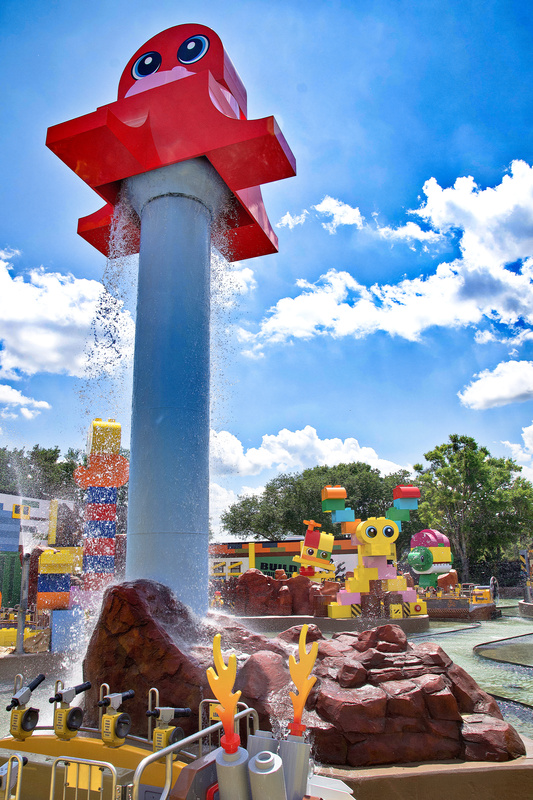 We gave ourselves a little tour of Legoland Florida before the media event. 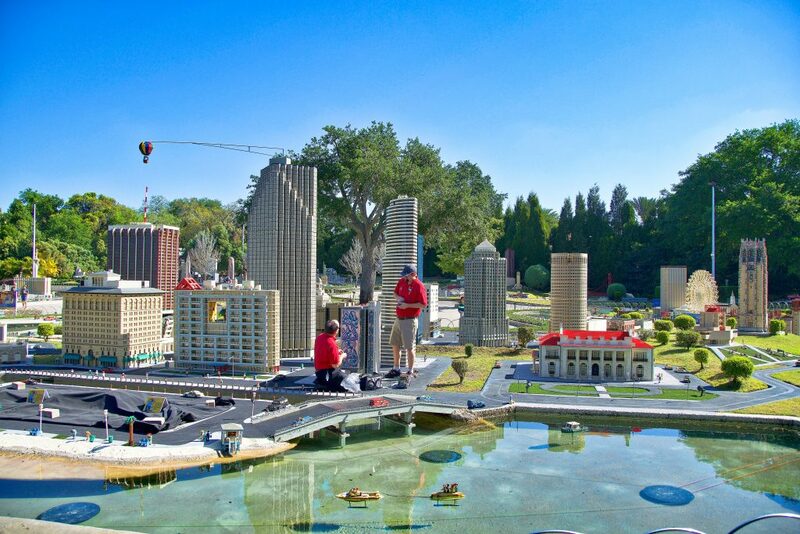 Our first stop was Miniland! 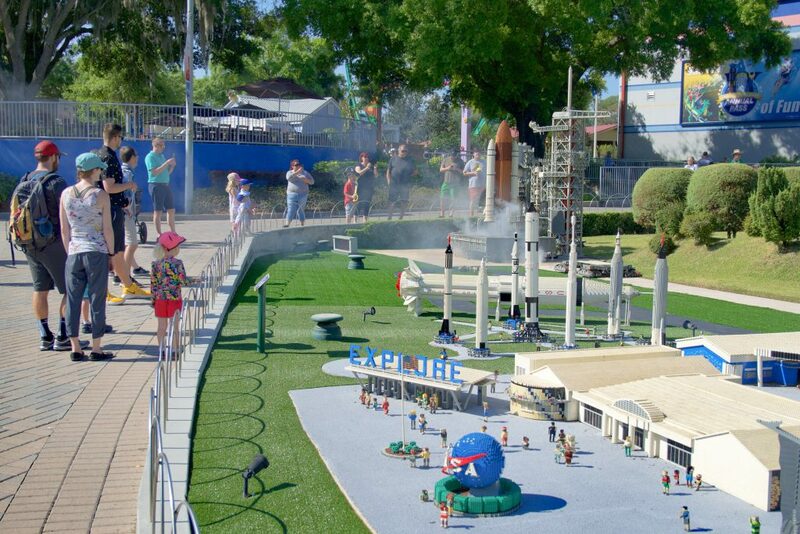 All Legoland parks feature a Miniland, but each one is unique. 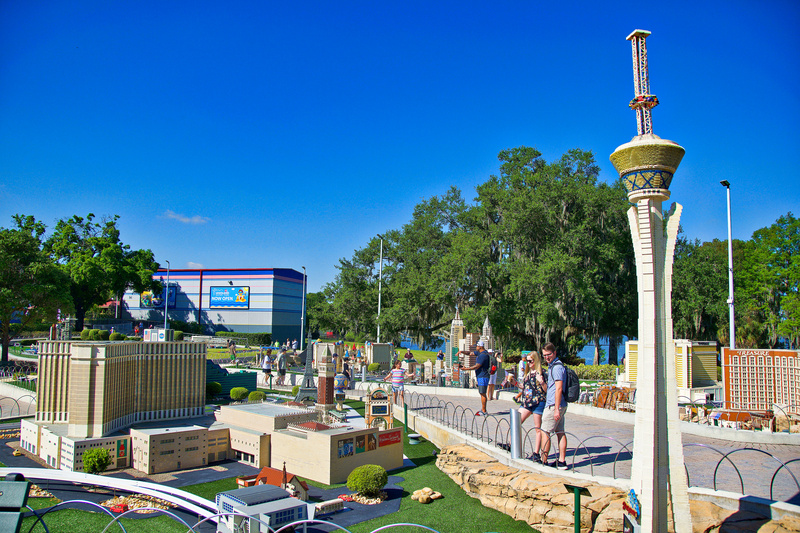 Legoland Florida features lots of unqiue Florida icons, including the Daytona Super Speedway and Kennedy Space Center. 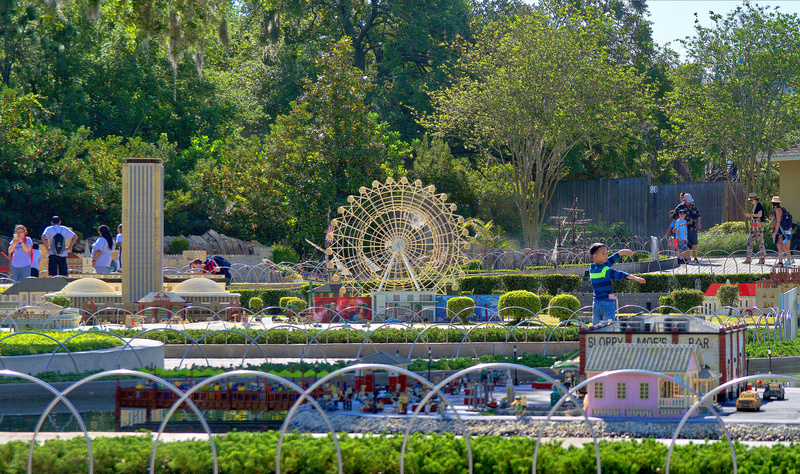 There aren’t any rides at Miniland (at least, not any that are large enough for people), but it’s the quintessential Legoland area and certainly the most photographed part of the park. 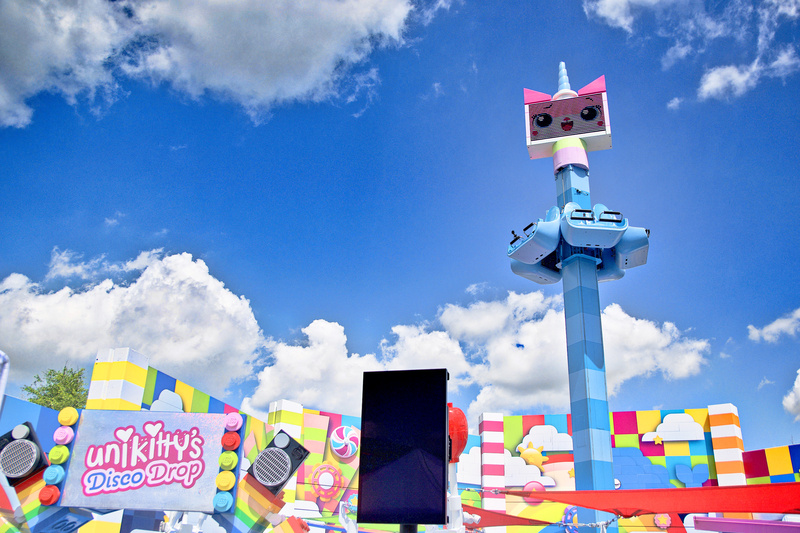 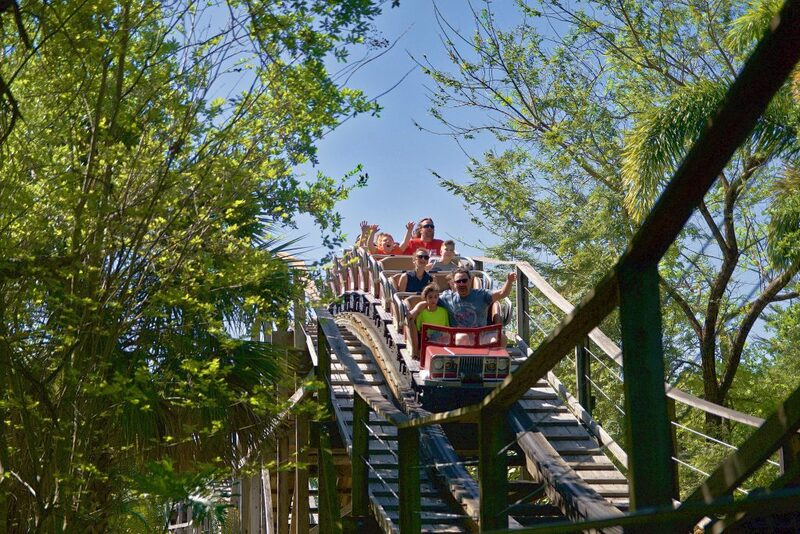 Florida’s Legoland boasts four roller coasters – more than any other Legoland park! The tallest is the Great LEGO Race, a large Mack mouse that was transplanted from Legoland Windsor in 2011. 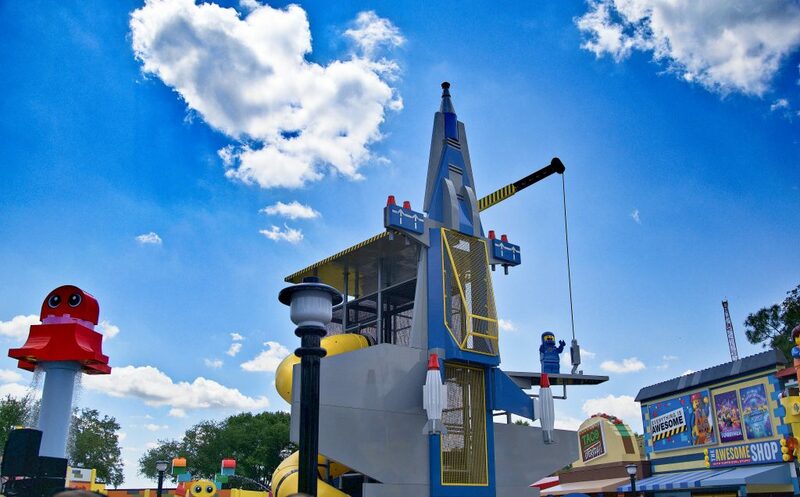 One-of-a-kind to the Lego chain of parks is Flight School, a Vekoma Jr. Invert. Perhaps the most remarkable of Legoland’s coasters is Coastersaurus, a miniature wooden coaster with teeny-tiny GCI Millenium Flyer trains! 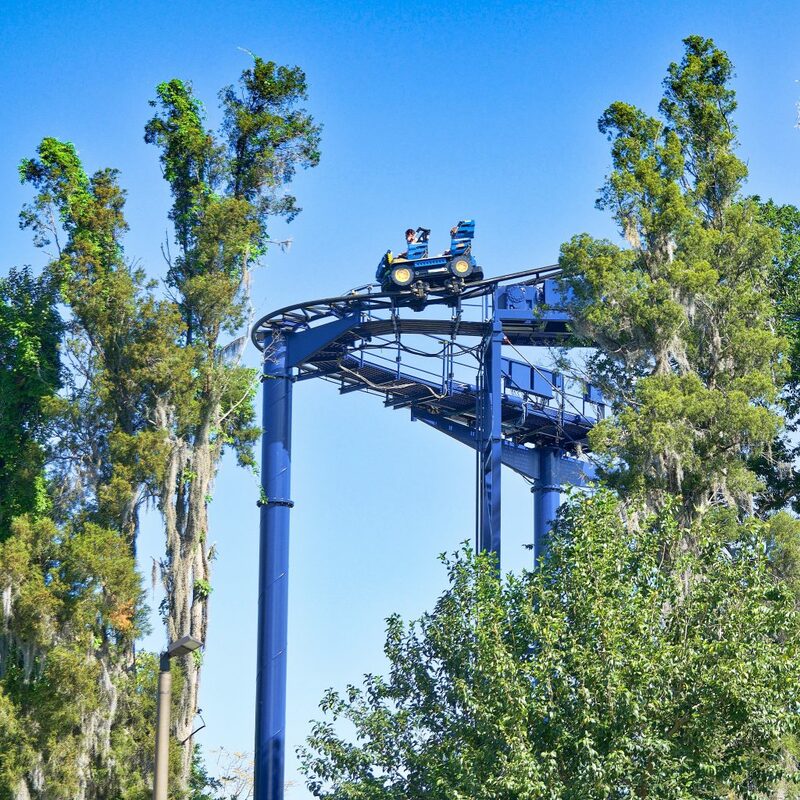 The 4th coaster, Dragon, I failed to grab a photo of. 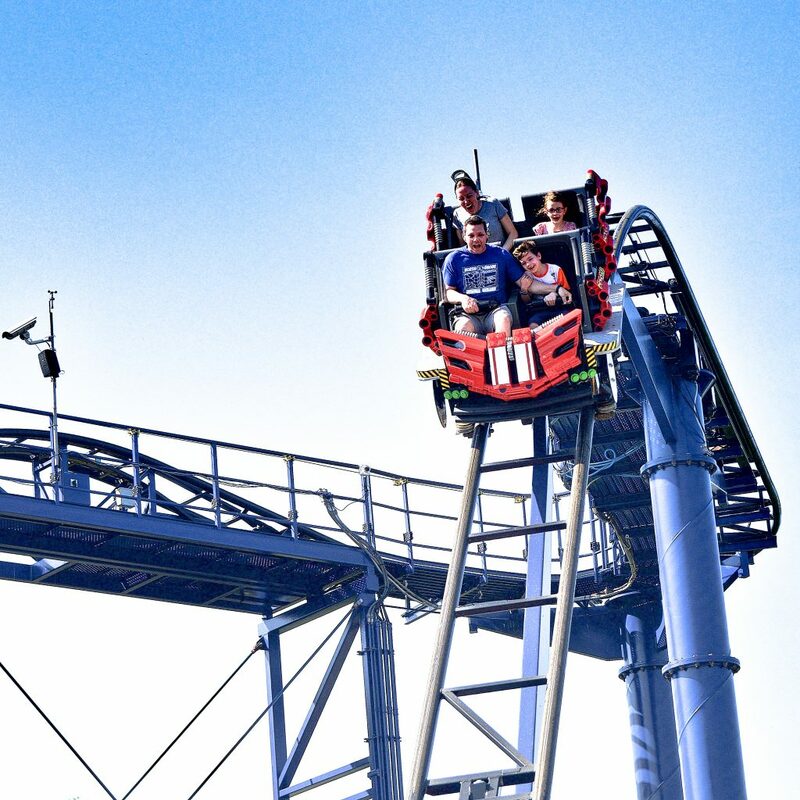 Next time! 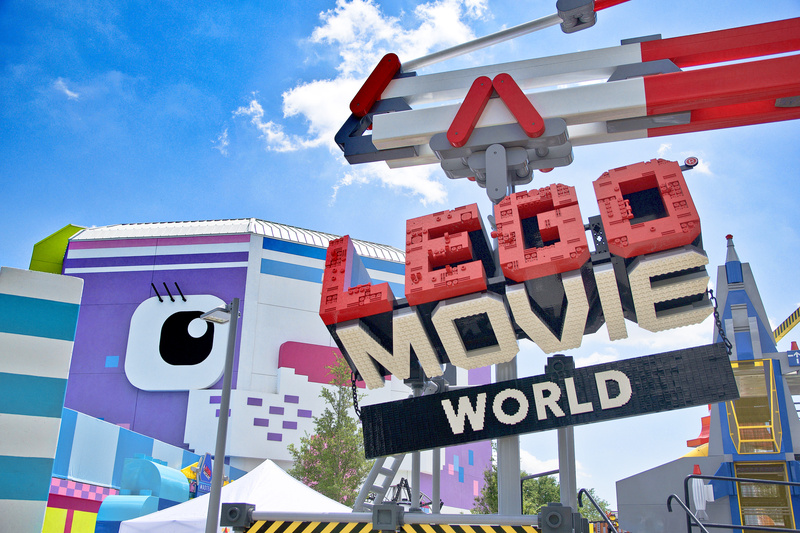 Now it’s time to focus on the brand new LEGO MOVIE WORLD!! 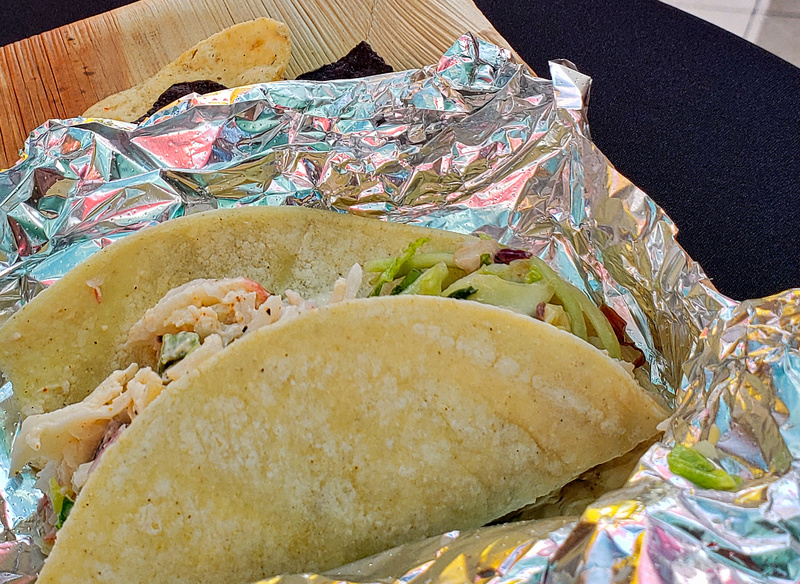 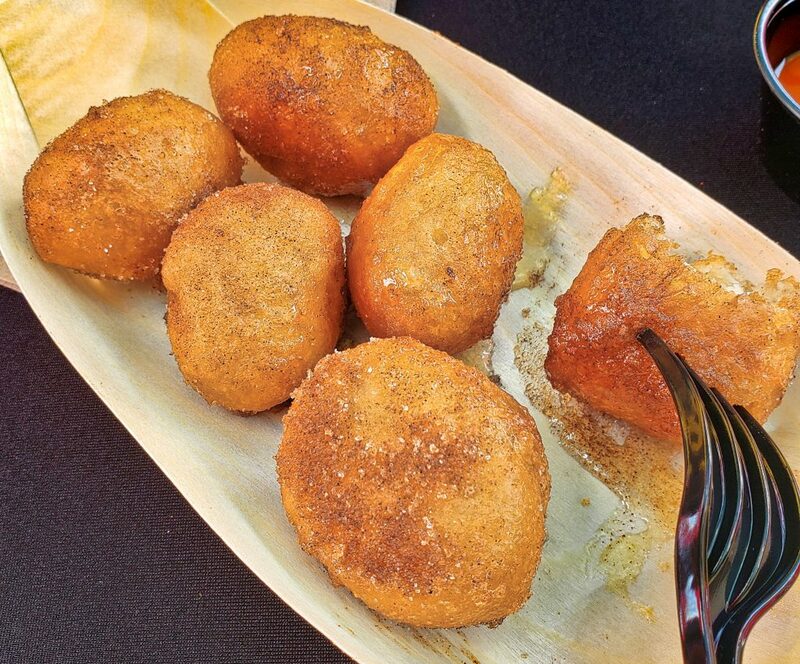 The “Tacos Everyday” stand has excellent food, but could use a vegetarian option. The biggest investment inside LEGO Movie World is the excellent Masters of Flight attraction – a next-generation flying theater with impressive visuals and 4D effects. 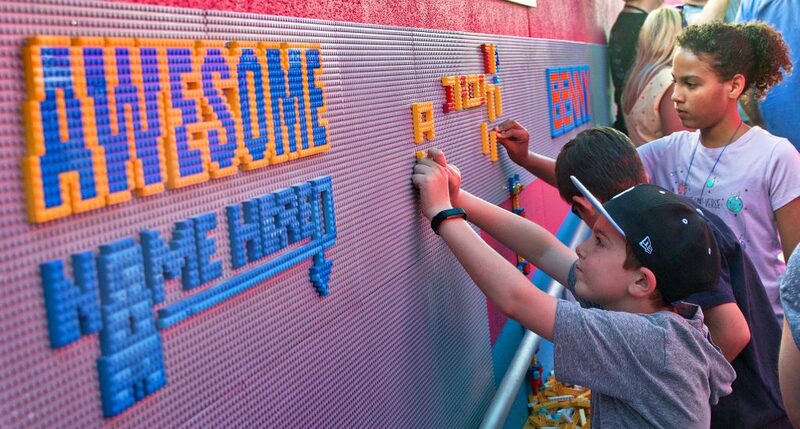 Lines will get long for such a stand-out attraction, but there’s lots of Legos to play with while queueing up! Rounding out LEGO Movie World is Battle for Bricksburg, a clever retheme of the park’s existing Mack Splash Battle. 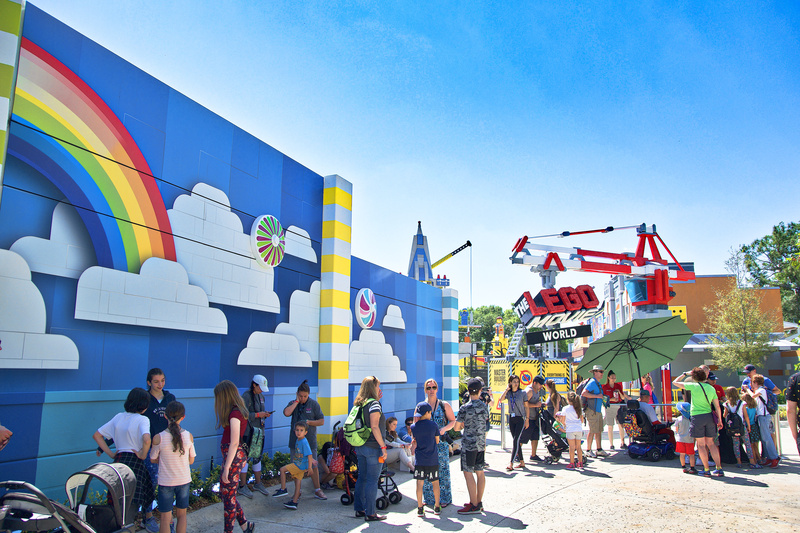 That concludes our LEGO Movie World at Legoland Florida update! 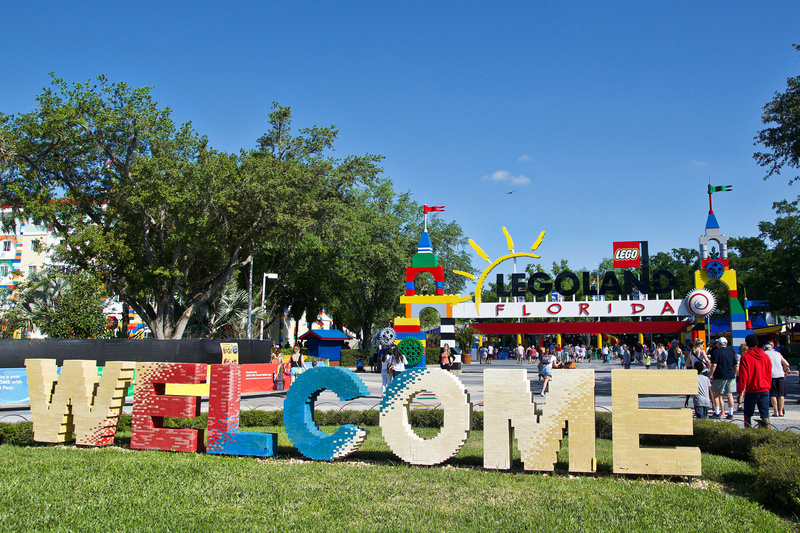 Thank you so much Legoland Florida for having us! 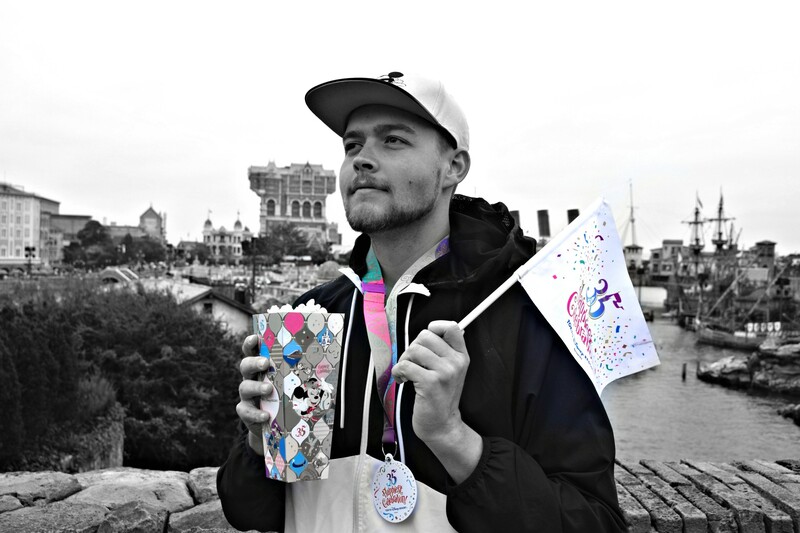 Can’t wait to visit again!